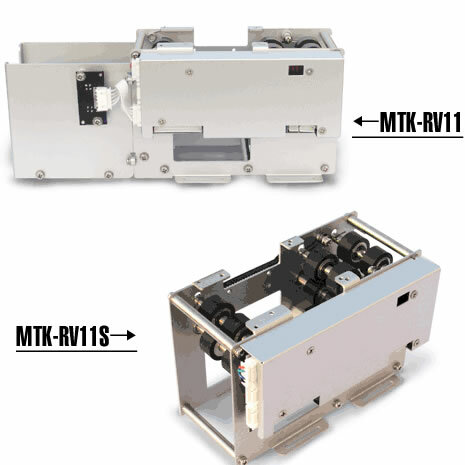 MTK-RV11 card recycling machines to our economical series that majorly target on car parking management systems and other semi-self-service systems. With reserved space for RFID antenna and simple communication commands, the auto collecting machine greatly helps in quick customization and development. High precision molded parts makes good accuracy and uniformity. Along with MTK-DS series card dispensers and vehicle detector accessories, it’s now easy to deploy your own customized card dispensing and recycling system for fully-automated car parking management system. Notes: This machine has been discontinued, successive model is MTK-F21(711N).